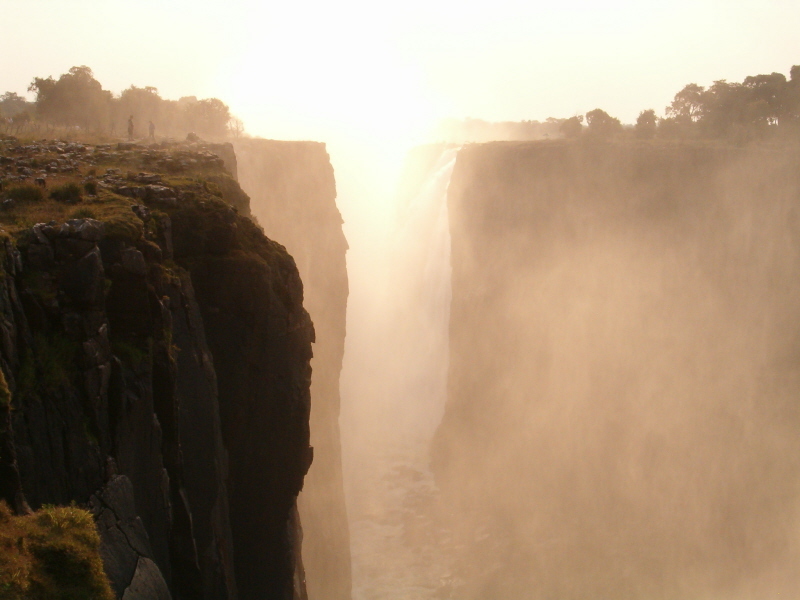 Botswana Victoria Falls Fly-Out: Aug 2006. 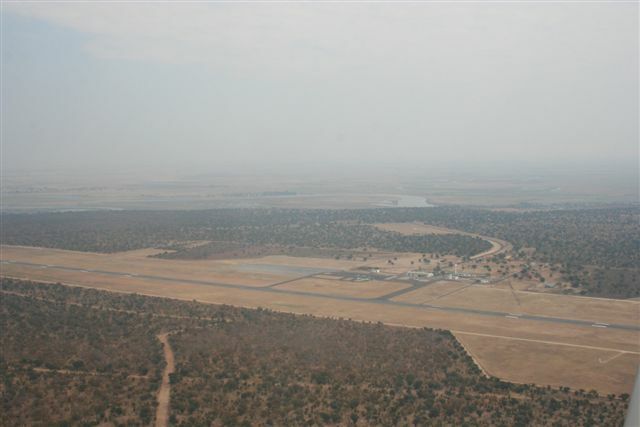 At about 07:20 on Thursday 17 August, Chalkie, Maureen, Lenora and I (and baggage of about 30 kg) took off from Kitty Hawk in ZU-TEN for Pilansburg. We were all excited and in good spirit after the coffee which Lenora brought along. The excitement and “spirit” prevailed right throughout our fly-in. 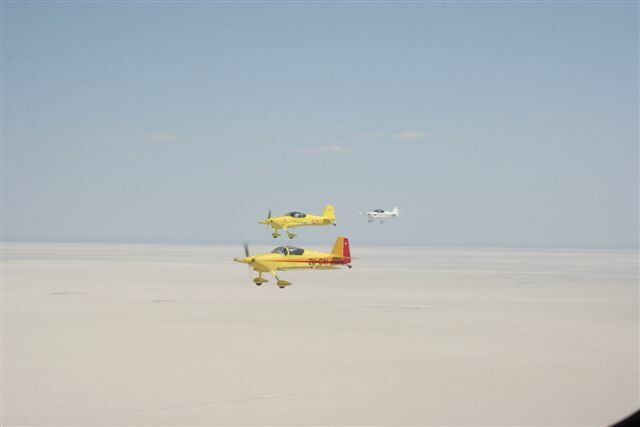 George Morphis and Noel Drew in RV6A –ZU-SON and Mervin and Yvonne in RV - ZU-CXI arrived at about 09:00 with Trevor Davis in RV6 – ZU-BDX shortly after them. 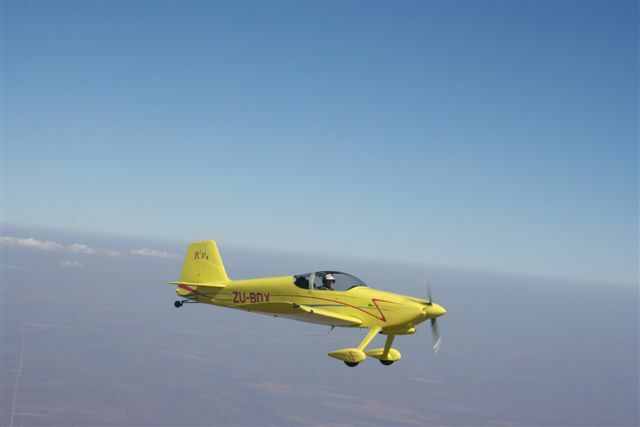 After all the formalities we departed in formation to Selibe Pikwe climbing to FL095. 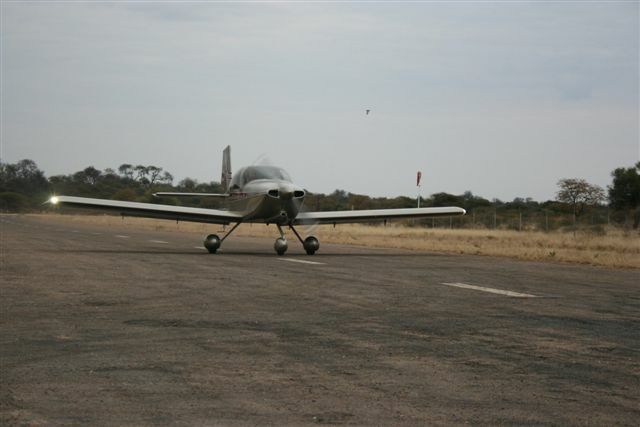 We again experienced what an awesome aircraft the RV10 is. With full load the other RV’s could not keep up, both in the climb and level cruise. 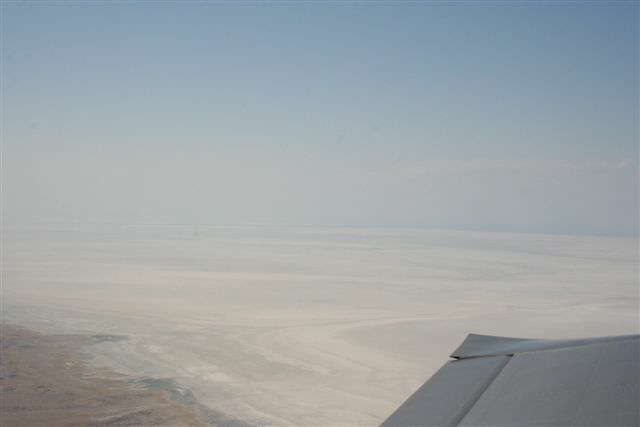 We landed at Selibe Pikwe after the guys demonstrated their skills at descending through the only hole in the clouds within 100km radius. After clearing customs we set sail (or is it GPS) with the incorrect co-ordinates for Grundy’s (taken from Easy Plan). Fortunately, the co-ordinates took us almost directly over Grundy’s (I am sure George would have managed to get us there in any case). At Grundy’s we met with Dave and Jenny Armstrong and their usual hospitality and too much good food. 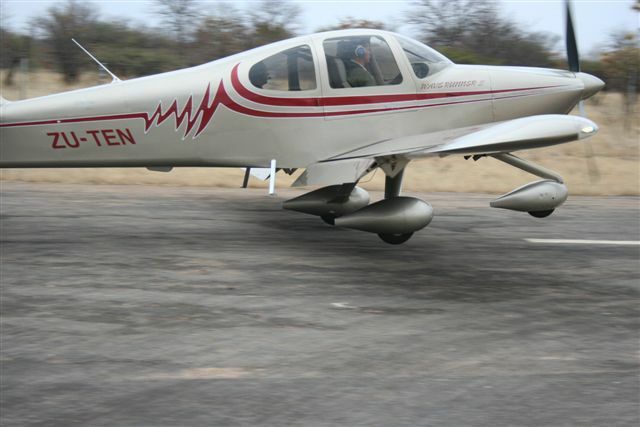 Dave is building an RV7 as well as son Garth (the latter at Orapa). 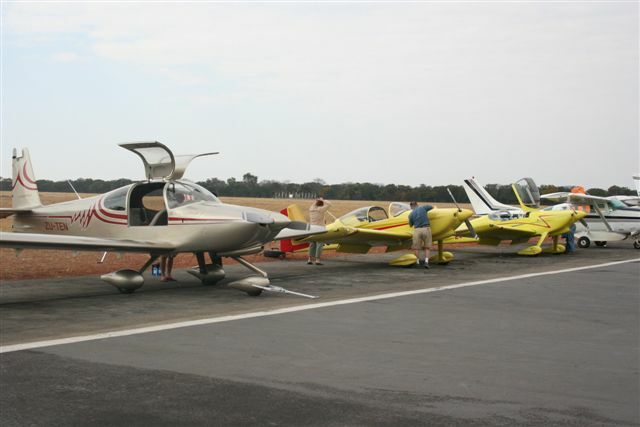 After lunch we all went to the workshop to inspect Dave’s RV7. Dave has done a good job and with all the inspiration he received this week-end, I am sure he will be flying in a couple of months. 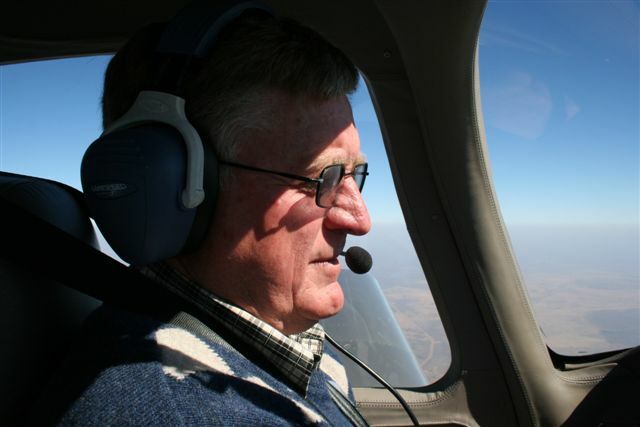 Chalkie also gave everybody a ride in the RV10, and al last after almost 80 hours I saw the RV10 flying and not being in it. NICE!!!! George is still speechless and almost convinced Noel to go back to Durb’s immediately so he could start work on his RV10. 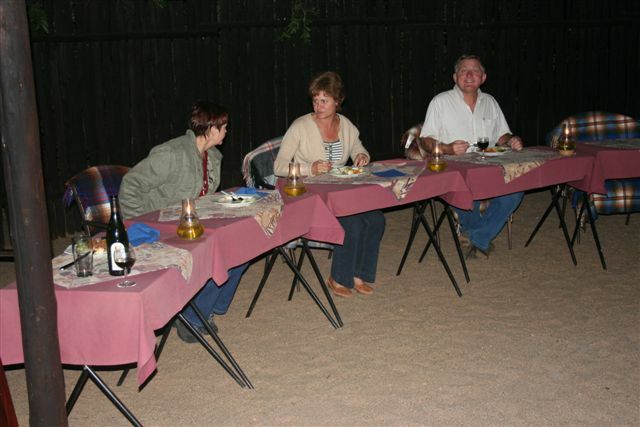 That evening we enjoyed good wine and excellent food around the camp fire talking ……….. what else – take a guess? On Friday morning, after the game drive and good breakfast we departed for Francistown and thereafter to Victoria Falls. To our surprise? Amazement? …. Maureen and Lenora fell asleep in the back seat while Chalkie and I experimented with the concept LOP and Dynon giving accurate leaning information (see the e-mail by Chalkie posted on the web). 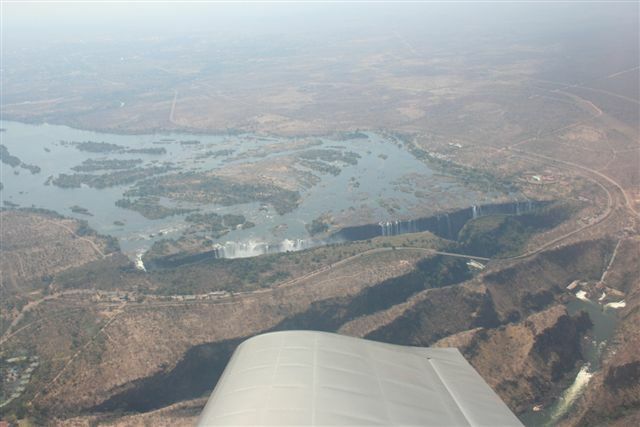 Arriving at Victoria Falls, the ATC allowed us to fly to the falls. We orbited over the falls and really enjoyed the wonderful experience. (I always wanted to fly an RV over the falls). 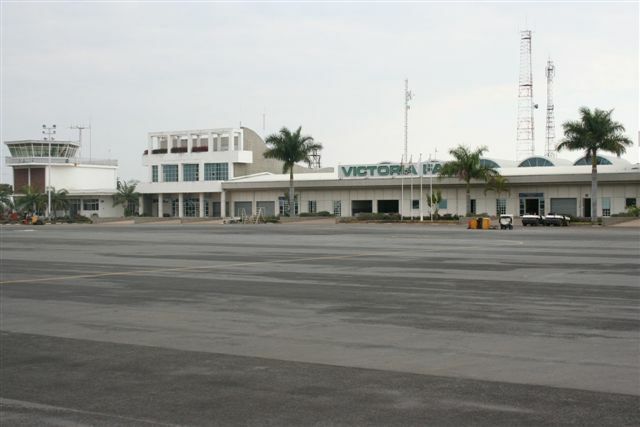 After landing at Victoria Falls Airport we “enjoyed” the experience of Zimbabwean in-hospitality as far as customs and immigration are concerned. 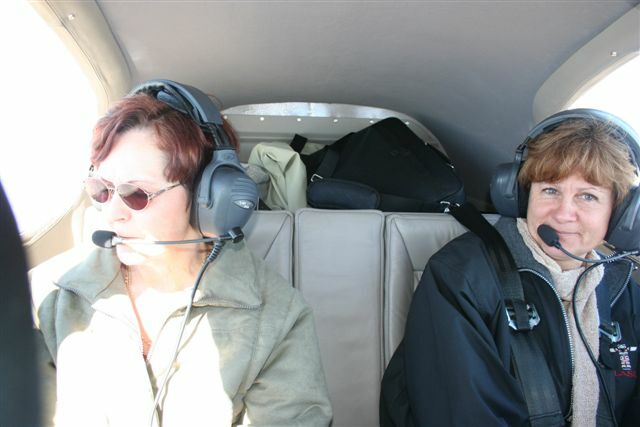 If anyone wishes to fly there first contact us for advice! 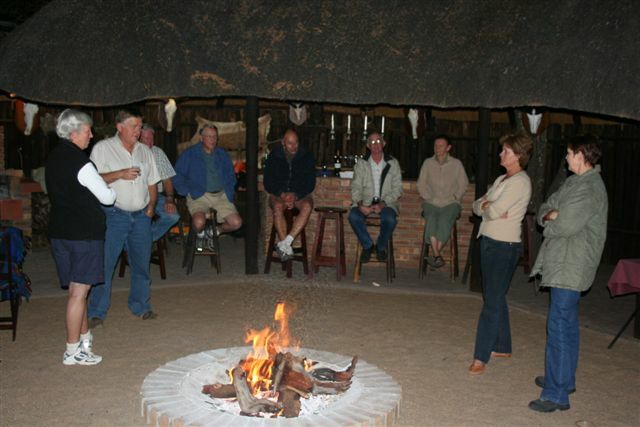 We stayed over at the Victoria Falls Safari Lodge which is an excellent setting near a waterhole. (George is still trying to spot the elephant without trunks). 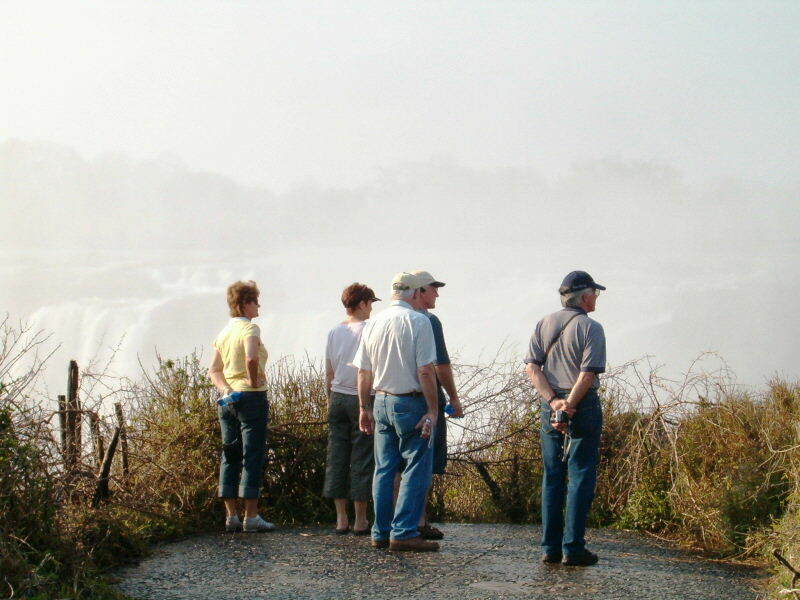 We visited the falls in the afternoon and enjoyed good “spirits” at supper. 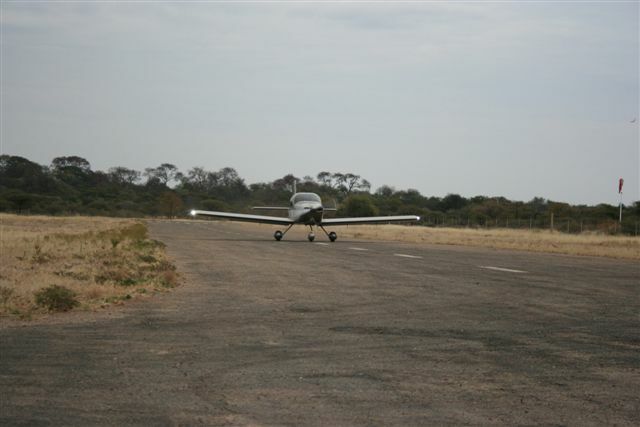 On Saturday morning, we departed for the airport where we arrived at 08:40 for departure by flight plan at 10:00. “Eish!” (met of sonder ys). We waited for an hour for the immigration “official” with the stamp. They then decided that the crew and passengers each needs to pay R200 per person on departure. The airport official eventually produced some directive to this effect! Their service and attitude was “vrot” to say the least. 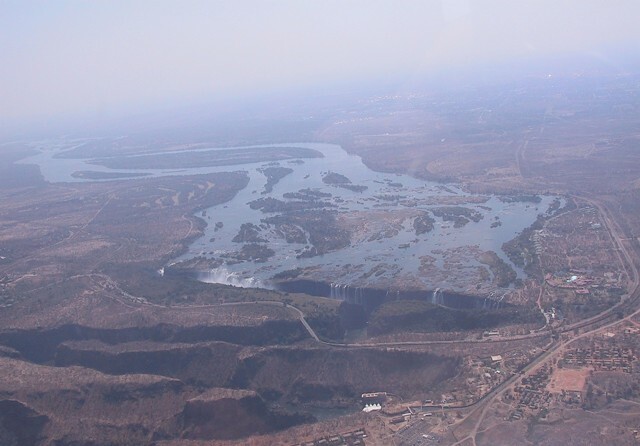 Next time, we will revert back to landing at Livingstone. 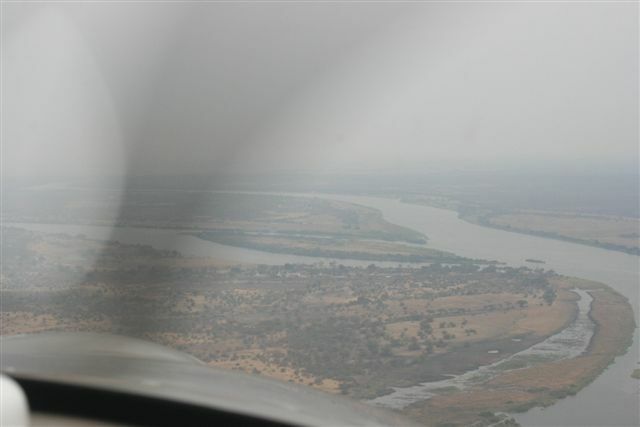 Our route for Saturday took us along the Zambezi to Kasane where the Chobe and Zambezi branch off. Low-level, this was awesome and we saw hippo’s in the river and real elephant (with trunks!). After checking-in at Kasane we continued west for about 50 miles and then south to the Magadigadi Pans and Kubu Island. What an experience! The pans are huge. 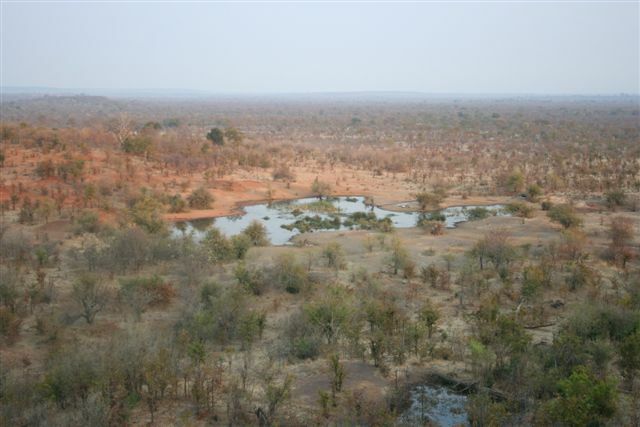 I have been there on safari before (4 X 4), but to see it from the air was worth all the flying we had done. 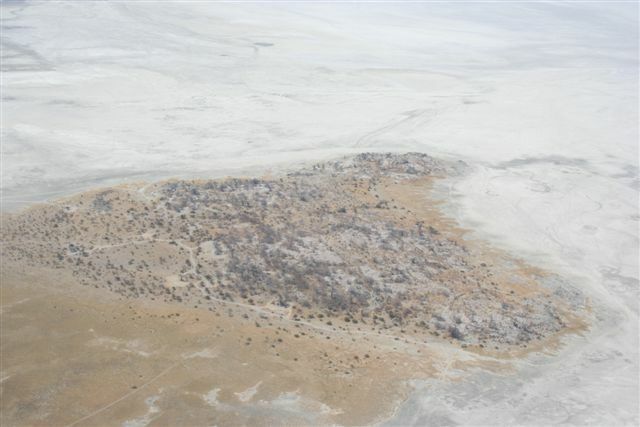 After circling Kubu Island we set off for Grundy’s (again on the wrong co-ordinates) but managed to find it. We settled down for a light meal and again inspected the RV7. 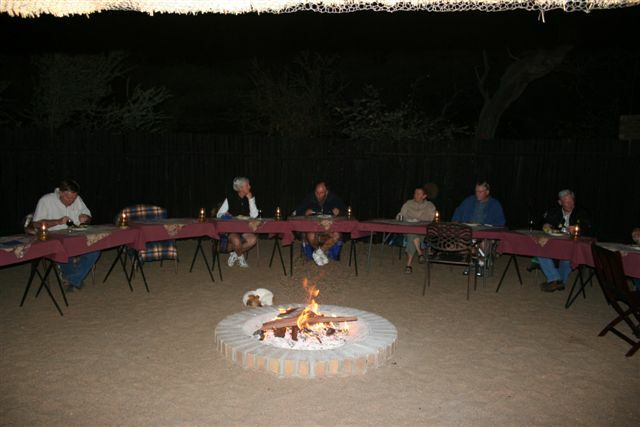 That evening we had a very nice meal around the camp fire, somewhat sad atmosphere, following Dave’s Jack Russell, Wally’s, accident during our game drive. Nevertheless, Dave, Jenny and family were excellent hosts and we all enjoyed it. 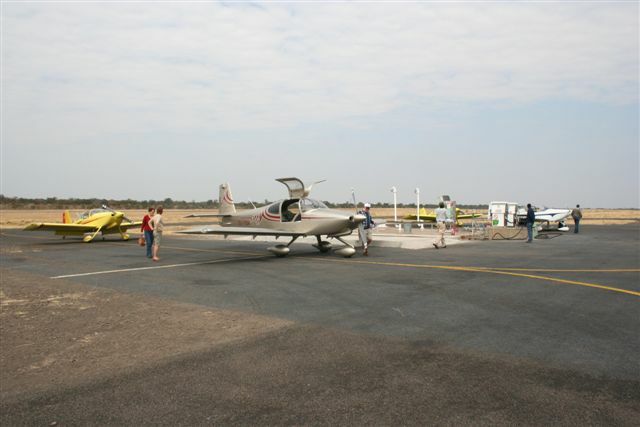 Sunday morning, George, Noel, Mervin and Yvonne departed early to get back to Durban via Kruger. Chalkie took Dave’s sons, Richard and Garth for a ride in the RV10 where after we departed via Francistown for Pilansburg. Overall, we had a great time. Good mix between seeing new and familiar places from a different perspective. 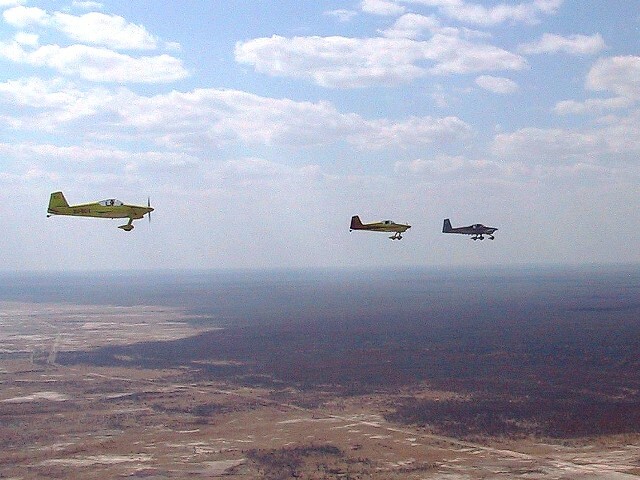 Dave, Richard and Garth said they will organize a fly-in to Kubu Island. 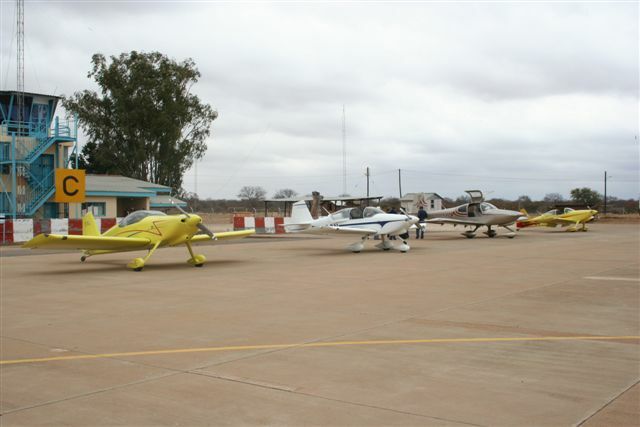 The idea is to land either at Kubu (on the pans) or Orapa and camp at Kubu for the night. This will be organized with full moon which will be awesome. To all those who went along, thank you it was great having you with! The Rain Forest at the on the edge of the Falls is not too wet due to river being low at end of winter. The HE Power Station is the Hydro-electric station at end of 2nd gorge. 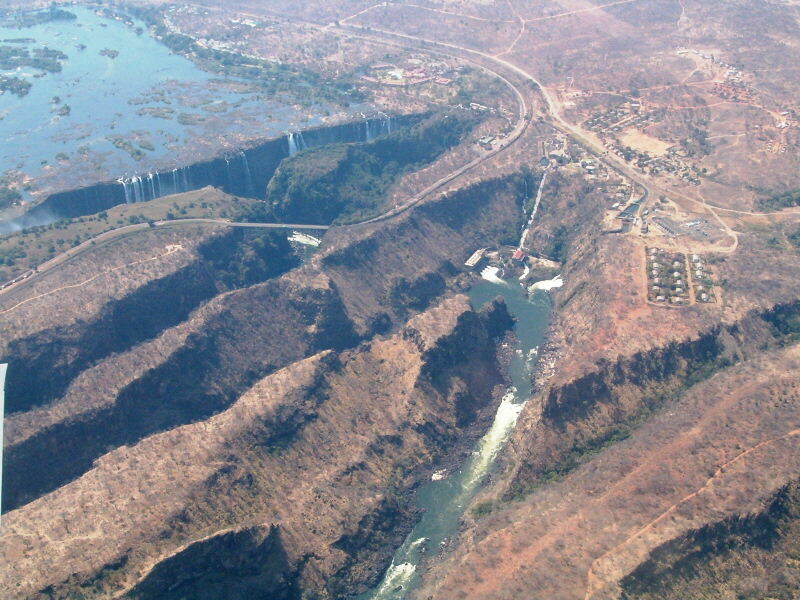 The "Zambian side" picture shows the 1st, 2nd and 3rd gorges. Each gorge is a previous location of the Falls. 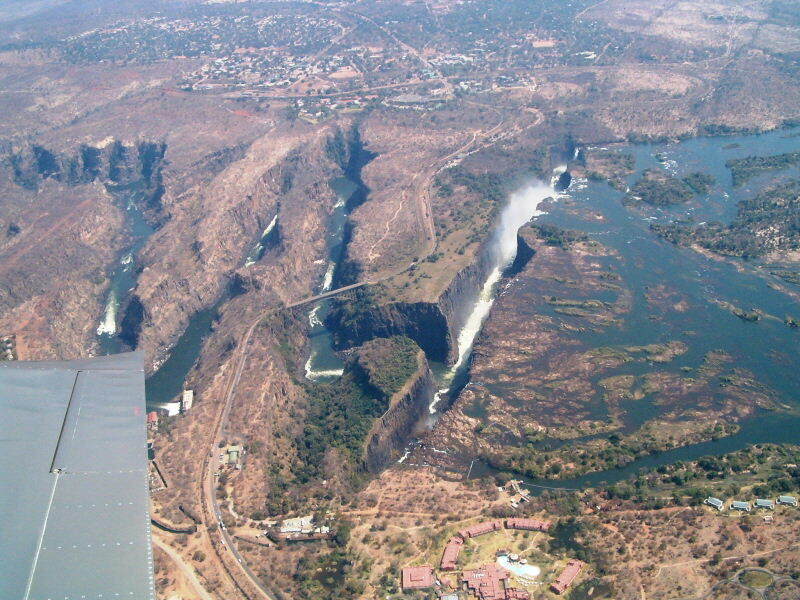 IE, the present Devil's Cataract is the erosion spot for the new falls and the 'old' falls will then be 1st gorge!. (Not in our lifetime.) 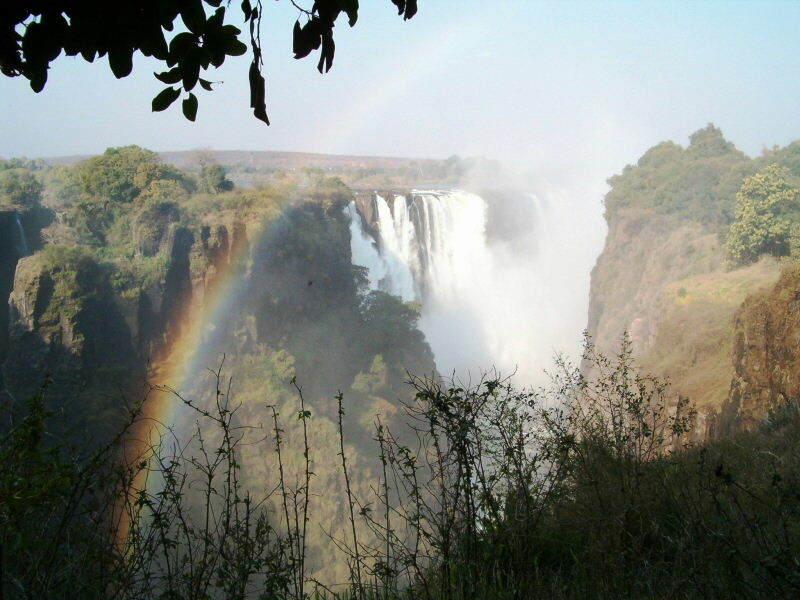 You can see the line were the Devil's Cataract will erode backwards in this picture. Geography lesson complete. Where not to go and land!